The Gateway development on the corner of Stewart Avenue and Parry Street. EPA were engaged as the electrical designers for the project itself and the integrated fit-out. Designed by CKDS Architecture, the site geometry relative to the corner was carefully considered and stylised to form two opposing curves. Each of these curves relate to a different circulation pattern; the curve to the street is a reaction to the movement of traffic, the curve to the inner section of the site relates to pedestrian circulation through the building. Our client for the project was Core Project Group. EPA were engaged by EJE Architecture to undertake the Electrical Design and Documentation of a new multi function facility located at Mayfield West. The facility for Bradken is Newcastle’s largest publicly listed company and will be used for the design, development, and testing of mining, rail, and industrial equipment. Electrical Projects Australia were the Electrical Consultants responsible for the Design and Documentation and Contract Administration of the new three storey office and extension to the existing office and car park located at 753-755 Hunter Street, Newcastle. The client for this project was Core Project Group. The Industry and Development Centre which fronts University Drive was recently refurbished. EPA were the electrical consultants responsible for the Design and Documentation of the Electrical Services for this project. 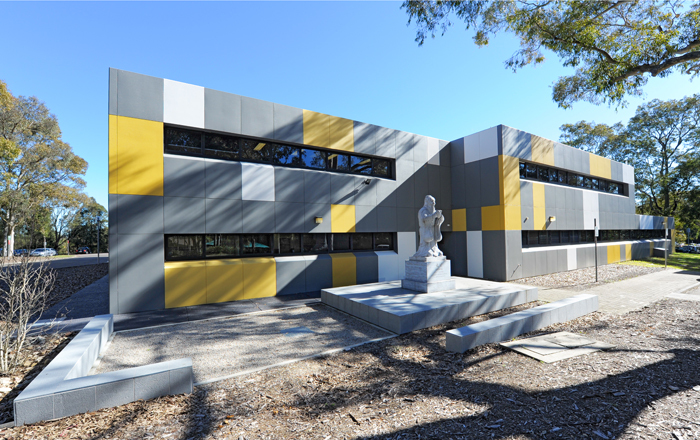 The development comprised of roughly 2500sqm of administrative space, including divisional fit-outs such as, the Confucius Institute and Newcastle Innovation. Another University Council Room additionally framed a venture's portion, including state of the art audio visual and acoustic fit-out. EPA were engaged by Richard Crookes Constructions to complete the Design and Documentation of the Electrical Services including power and lighting for the new Woolworths supermarket in Tuncurry.